A Reader's Adventure! : Dark Days + Nail Polish giveaway! So a couple of weeks ago I had the chance to go to a Dark Days event featuring Dan Wells (Partials), Kimberly Derting (The Body Finder series, and The Pledge), and Jill Hathaway (Slide). 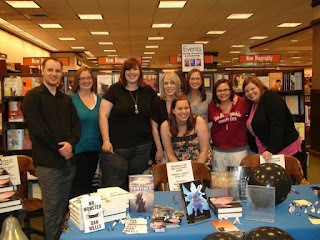 It was so much fun and I got to hang out with some fabulous bloggers! If you ever have a chance to meet any of these authors make sure to. They were nice and so funny! 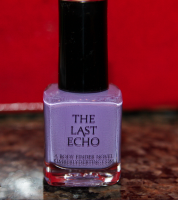 Courtesy of Kimberly Derting I have 5 bottles of The Last Echo nail polish to giveaway! Would you ship to Canada? I love the book and the nail polish is gorgeous!